SEO Reports track and monitor key indicators of your search engine optimisation and online marketing success. Without them it’s almost impossible to understand what is working well and where to focus your efforts. SEO Reports bring together data from several sources (such as Google Analtyics) into an easy to understand snapshot of current performance and improvements over time. This post explains SEO metrics that are monitored in our client SEO Reports (included with all SEO packages). Whether you’re an SEO Copilot client or not, these are all important SEO metrics to track for business websites. 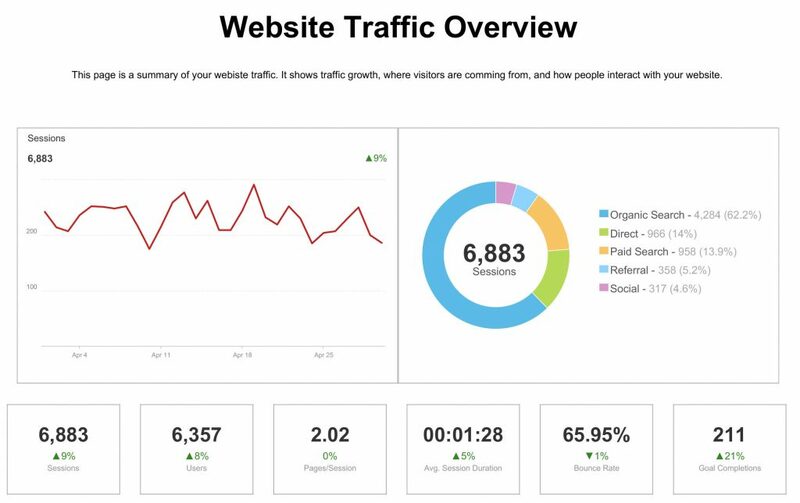 The website traffic overview gives you a quick visual summary of your most important visitor statistics from Google Analytics. They are compared to the previous month to track changes in your website traffic over time. These statistics look at how many visitors you had, and how they interacted with your website. Sessions – The number of visits to your website, one individual visitor can visit multiple times. Users – The number of individual visitors to your website. Pages per session – The average number of pages viewed during each session. Engaged visitors will view multiple pages. Average session duration – The average time a visitor spends on your website. Bounce rate – The percentage of website visits that ‘bounce’ back to the search results from the page they entered. Goal Completions – The number of visitors that ‘convert’ into customers, performing an action or goal on a website. This could be a contact form submission or online transaction. Organic Search – Traffic from Google’s organic search results. Paid Search – Traffic from Google’s paid search results (Adwords). Direct Traffic – Visitors entering your website address directly into their browser, or unidentified traffic sources. 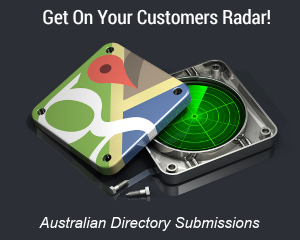 Referral – Traffic from other websites such as business directories and blogs. Social – Traffic from social media networks such as Facebook and Twitter. Email – Traffic from newsletters, email signature links etc. Which pages of your website are getting the most exposure in search results? Knowing this you can optimise high performing pages to convert more visitors into customers, and identify under performing pages that may need to be updated or refocused. This section of the SEO report details the top performing pages in terms of search impressions, or the number of times they appear in Google search results. Information on your best performing website pages in terms of search impressions is imported from Google Webmaster Tools. A fundamental part of any SEO campaign is researching the keywords your customers are searching for in Google. Targeting the right keywords means you can make the most of your efforts by focusing your SEO strategies and content. 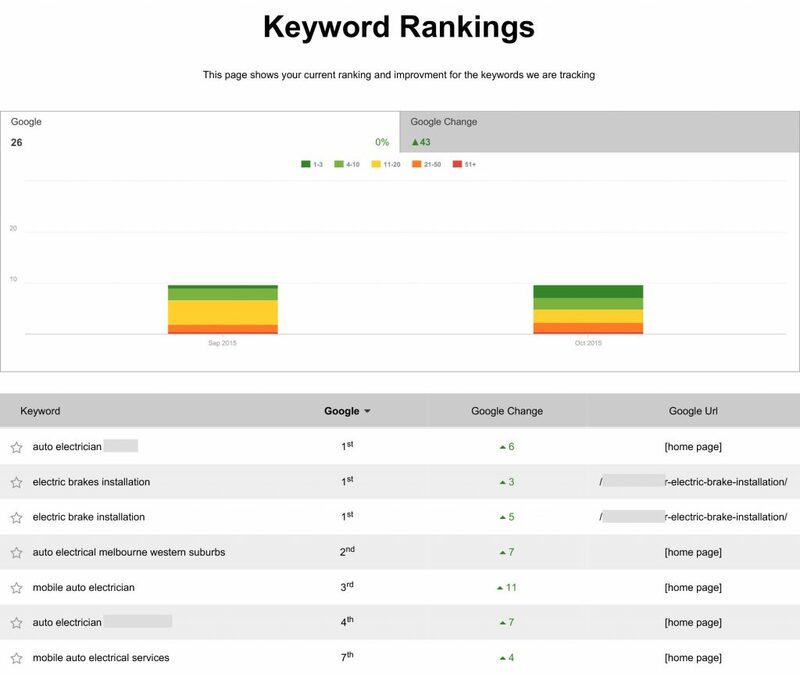 We track your important Google keyword rankings in the SEO Report to monitor the progress of your SEO campaign. 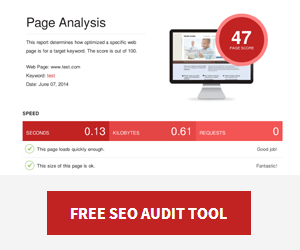 Are you using SEO Reports to your advantage? With all this information collated into one easy to understand SEO Report our clients can get a picture of their website performance in a few minutes. Get your own own monthly SEO Reports with any of our affordable SEO Packages.